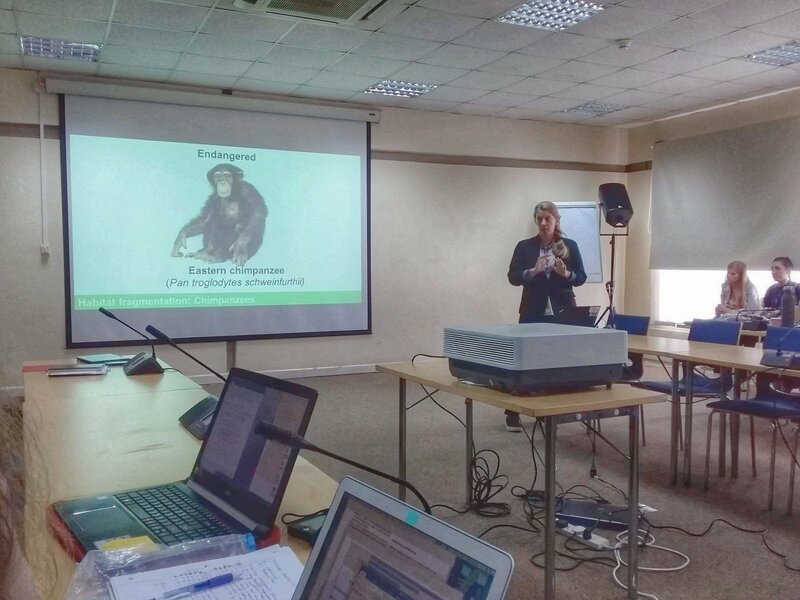 This month our Africa Programs Coordinator, Natasha Coutts, attended the 27th International Primatological Society Congress in Nairobi, Kenya. Natasha presented some preliminary results from her ongoing research on the social behaviour and ecology of the chimpanzees in Nyungwe National Park, Rwanda. These chimpanzees live at the highest known altitude for the species, which presents unique challenges compared to the more well-known populations at lower elevations. However, very little is known about how they’ve adapted to this particular environment, making Natasha’s research an important contribution to understanding the full range of chimpanzee behaviour. Even more exciting is Natasha’s upcoming visit to Gombe Stream National Park, Tanzania next month. Be sure to check out our next newsletter to for an update on what’s been happening in Gombe this year!